For the last 10 years we’ve said “next year we’ll make some Christmas decorations and if they turn out ok maybe sell a few. Well, this year we finally managed to get it together and produce a few prototypes. As we have a fully functioning workshop we decided to make them out of recycled wood had left over from the build. They’re really simple to make and once you have a design take a maximum of 15 minutes to make .. and of course they are home made! Basically all you need to do is produce a design on paper and then create a template from the design. We decided on a Reindeer, an Angel and the good old Christmas Tree. 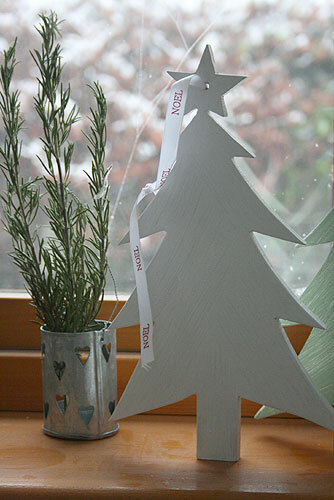 If you decide to make the Angel or the Christmas Tree we then you might want them to be symmetrical. 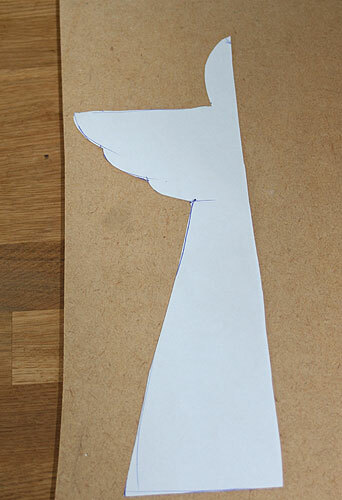 If so sketch one half on a sheet of A4, then cut it out and place on your timber. For the templates we used MDF .. not very eco friendly I know but it’s only going to be the template. 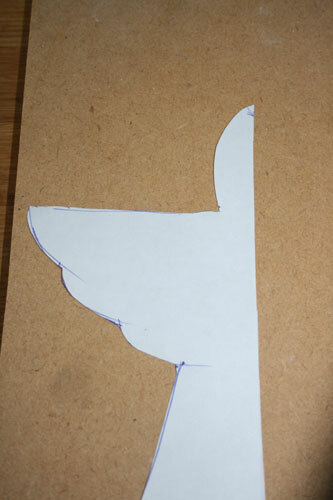 Next draw around the shape and then flip it over to the right and draw round the opposite side. What you should end up with is completed shape. 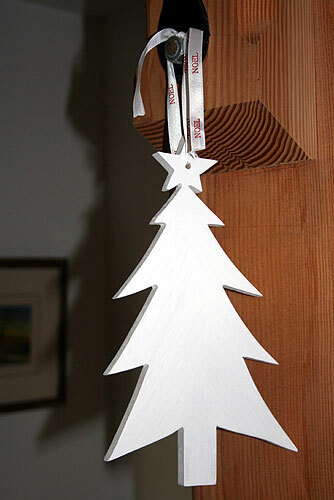 If you have a band saw then cut the shape outside the lines so you have enough to use sand paper to refine the shape. Lastly when you’re happy with the shape buy a sampler pot of paint (we used Farrow and Ball as we had some left over from the build) and give it a couple of coats of paint. If you like a texture finish then a paint brush is fine but if you want a smoother finish then you could use a spray gun if you could lay your hands on one. Great fun and a great way to recycle timber. Next year we’re planning to produce new designs and maybe offer them up for sale.